Peel Thunder’s Jason Carter holds on tight. Photos by Shazza J Photography. 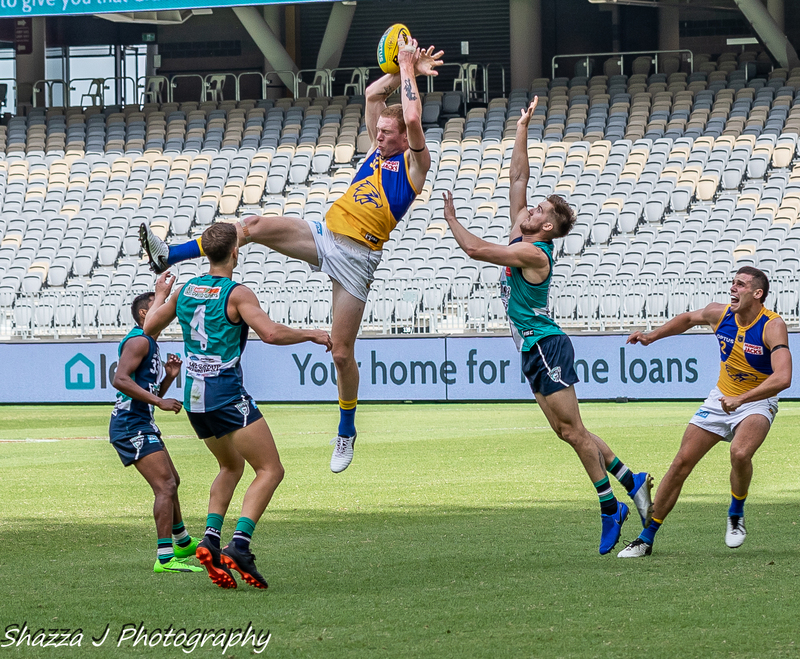 PEEL Thunder coach Cam Shepherd said his team’s first game at Optus Stadium was disappointing, but at the end of the day the West Coast Eagles played better footy. “It was a big event to play West Coast at Optus Stadium,” Shepherd said. 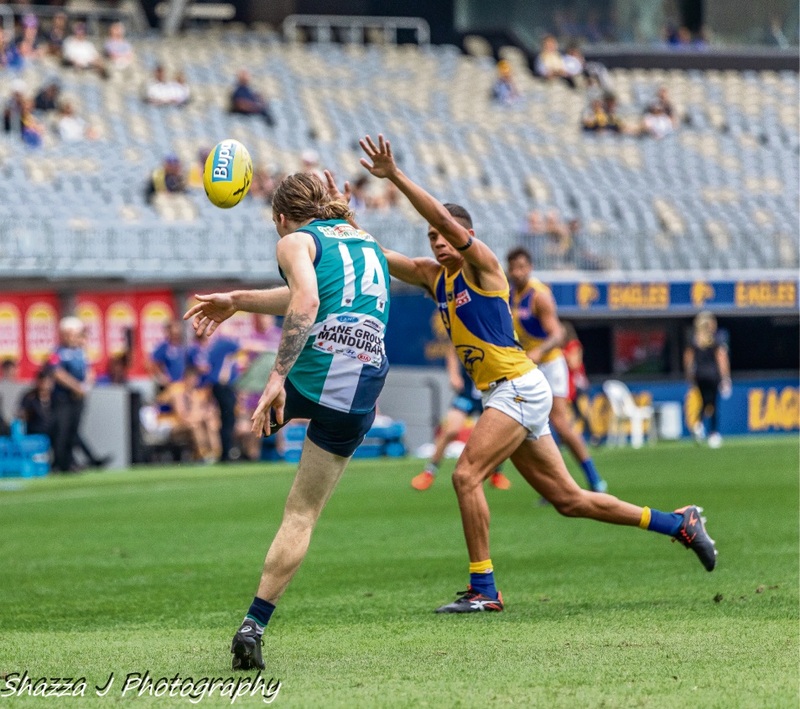 Peel Thunder players in attack mode. Shepherd said it was a very young squad that played for Peel and they needed their more experienced players. 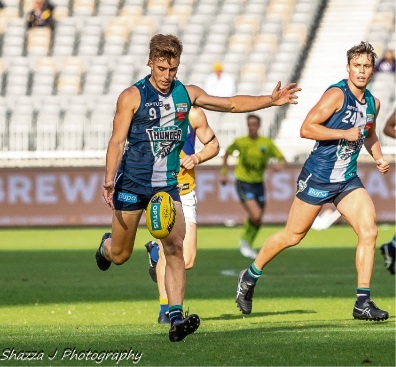 Peel Thunder gets the mark. He said the players from the Fremantle Dockers were relatively young. “We also missed our players captain Ben Howlett, vice-captain Blair Bell and Traye Bennell,” Shepherd said. 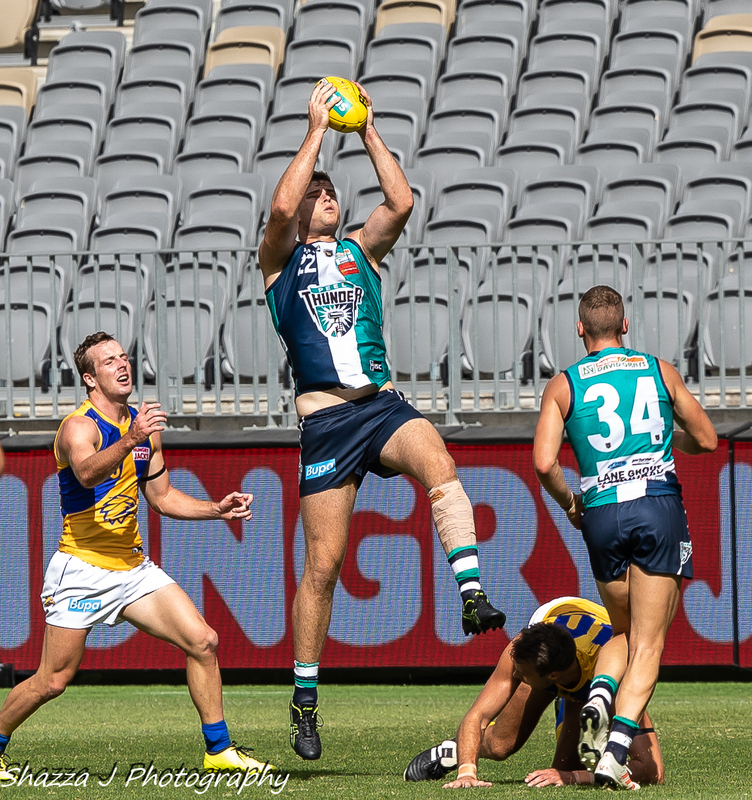 Keegan Power, of Peel Thunder, boots the ball. Positives to take from the game were that Peel kept fighting until the end. Peel’s Tyrone Thorne in action. “We had eight scoring shots in the last quarter,” Shepherd said. 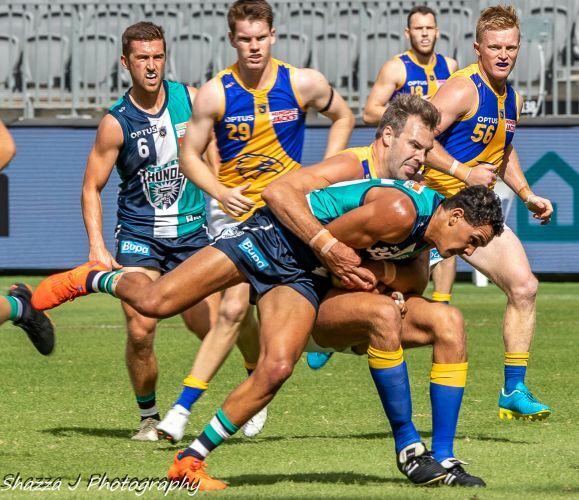 Shepherd said the team would regroup as it prepared for the Good Friday clash against East Fremantle at David Grays Arena. 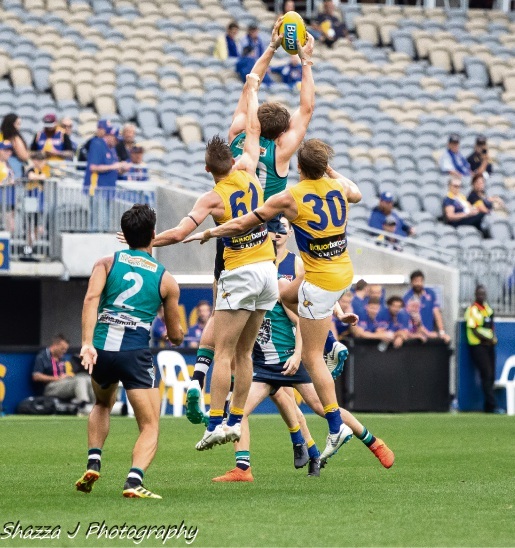 Peel Thunder gets the height needed.